Through Facebook when Alan enquired about a post Sophie had made. We had been on a night out celebrating the birth of Sophie’s best friends baby. We were sat on the balcony having the final glass of the evening. Sophie was watering the plants when she turned around with Alan bend down on one knee. The following morning, Alan took Sophie’s mum for breakfast to ask her permission as it couldn’t be official without it. A beautiful dress from Vanila Boutique in Dubai. Being a slightly bigger girl, Sophie needed a slightly bigger dress which accentuated her tiny waist and hid her larger lower body. Sophie and her bridesmaids did their own hairs. A close friend who is a freelance make up artist did her and others in the bridal party makeup. Royal Blue Ted Baker 3 piece suit. Alan and his 2 best men all wore blue suits with crisp white shirts custom made with purple details on the collar and cuffs with the date stitched in the back along with purple ties. 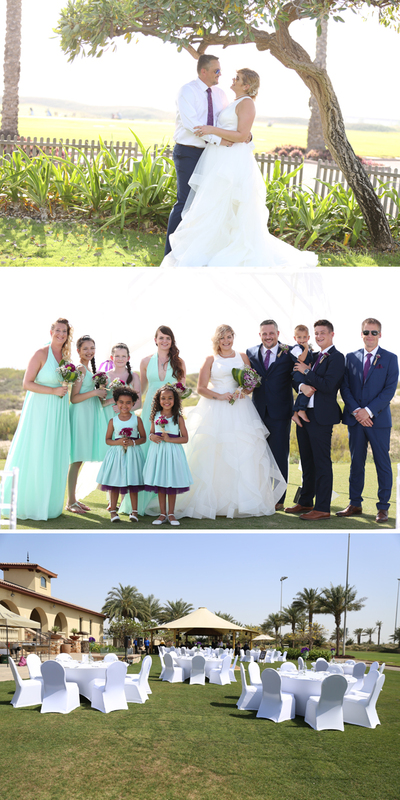 Bridesmaids and flower girls all wore mint green. All dresses were custom made to suit their shapes and ages. Our ceremony was held by Alan’s uncle from the UK. 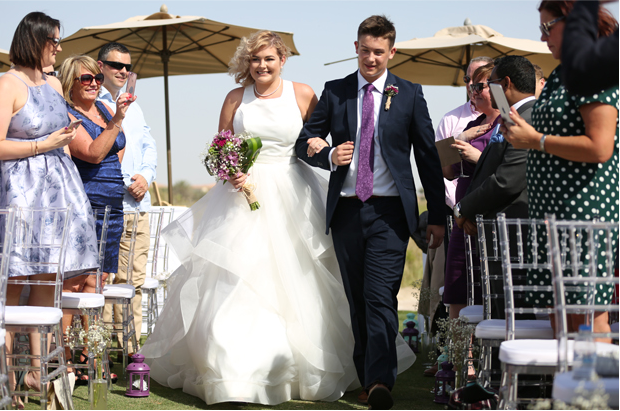 Vows were written by ourselves and was held on the tee over looking the ocean over Saadiyat Beach. We chose Racha as she was very friendly and warm. Her candid pictures were what drew us to her as we did not wish to have all posed pictures. 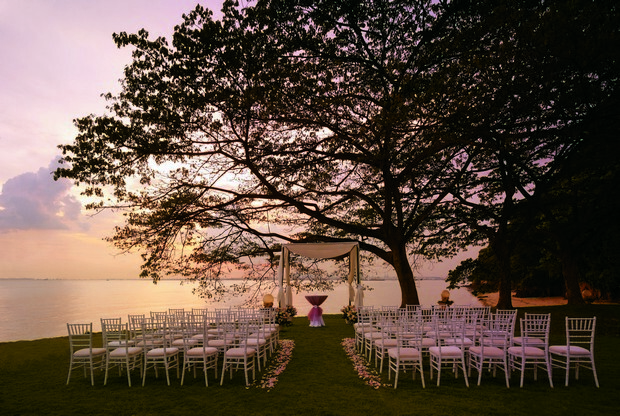 The location is beautiful and Sophie’s mum approved the venue before she passed away. We honeymooned in July in the Maldives. Kuredu Resort. It was amazingly beautiful and very relaxing. Perfect as Sophie had found out she was pregnant only a couple weeks prior. We did most of the wedding ourselves. Decorating the cake and cupcakes, making flower arrangements and all other decorations and small details. Trips to Dragonmart are essential to save money on such things.